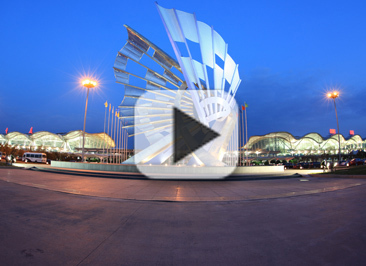 The center was built by Chongqing Liangjiang TGood EVC Co and is open 24 hours every day. Each charging station has a power capacity of 60 kilowatts and collects fees based on current electricity prices. The highest fee is 1.35 yuan ($0.2) per kilowatt-hour and the lowest is 0.99 yuan per kWh. All charging stations are equipped with quick-charge terminals which improve charging efficiency and allow vehicles to go 250-350 kilometers on a single charge. By applying the intelligent charging system developed by TGood, the charge center can automatically arrange charging times based on the current traffic of the center. New energy vehicles will promote the transformation of the automobile manufacturing industry in Chongqing. 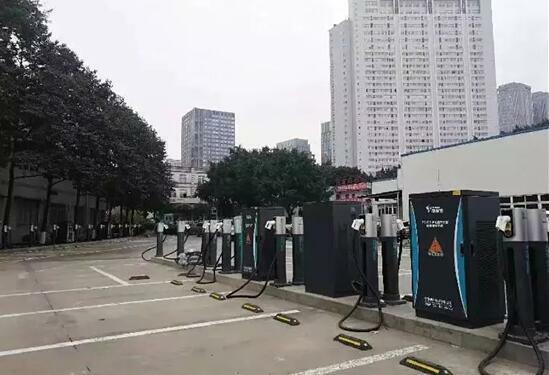 Current key new energy vehicle companies in Liangjiang have formed a research and development system, providing a foundation for the development of the industry. A total of 500,000 new energy and intelligent vehicles are expected to be produced in Liangjiang by 2020, with a total output value of 100 billion yuan.